Dusky Moon is a horror-based escape game with interactive puzzles and strategic game-play challenges, spread over three story-lines. In the thrilling first part of the game, you need to step-in and find a way to destroy the new King of Hell, before his arrogance destroys the balance of the universe. 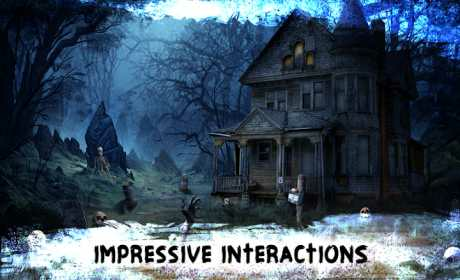 In the adventurous second part of the game, You must travel through the parallel realms of ghosts, witches and the unknowns in search of your friend Sam, who was abducted because of his supernatural powers. Find the secrets of these spectacular worlds while finding who took your friend and what are their plans for him. You are on a research-expedition in this emotionally charged story. You must find the truth about a mysterious person, who lived and died with an iron mask on his face, in a prison, during the 18th century. Do you wanna get into the real horror in escape games. Just play and feel it. Challenge yourself by completing unique achievements.